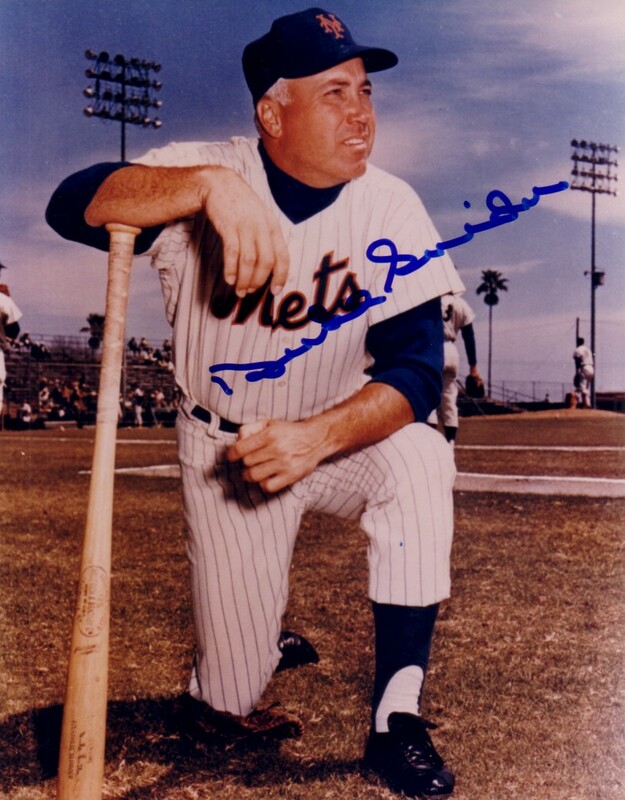 8x10 New York Mets photo autographed in blue marker by the late, great Hall of Fame slugger Duke Snider, who played one season (1963) with the Mets. ONLY ONE AVAILABLE FOR SALE. With certificate of authenticity from AutographsForSale.com.